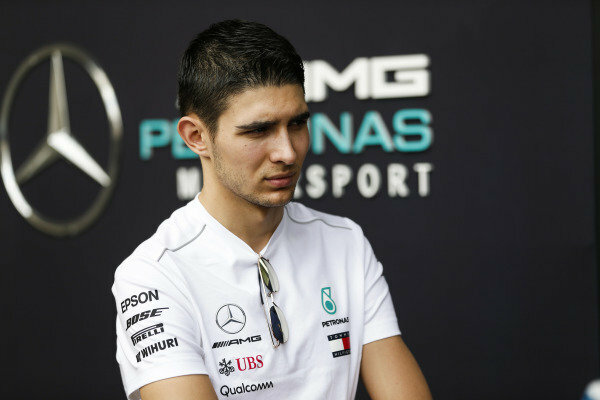 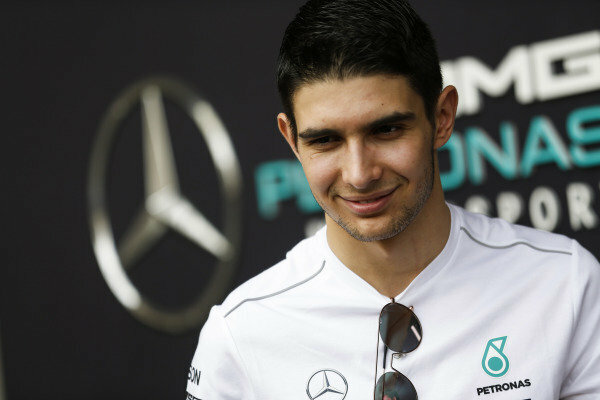 Esteban Ocon, Mercedes reserve driver. 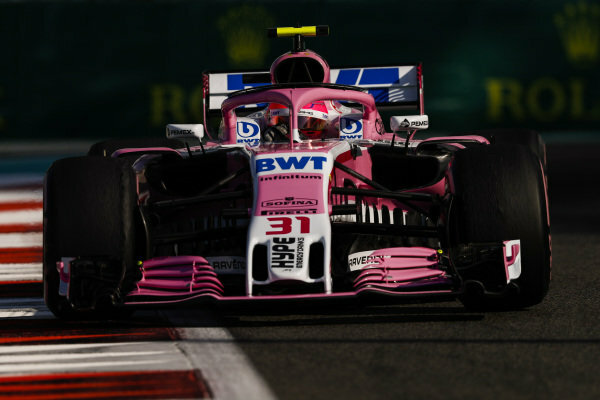 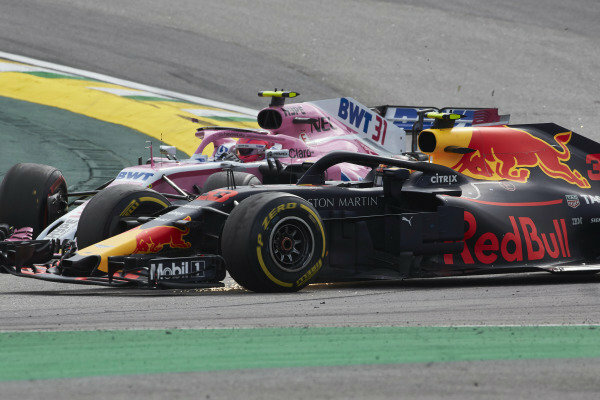 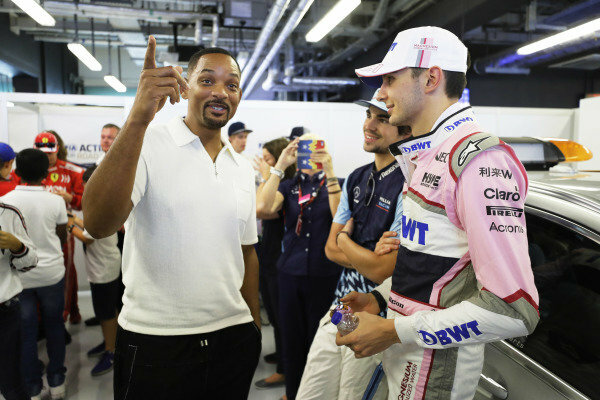 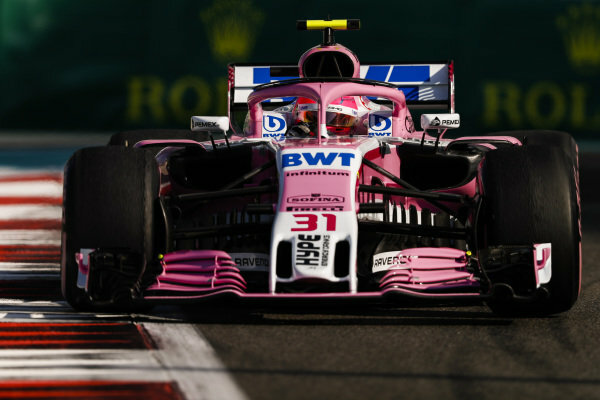 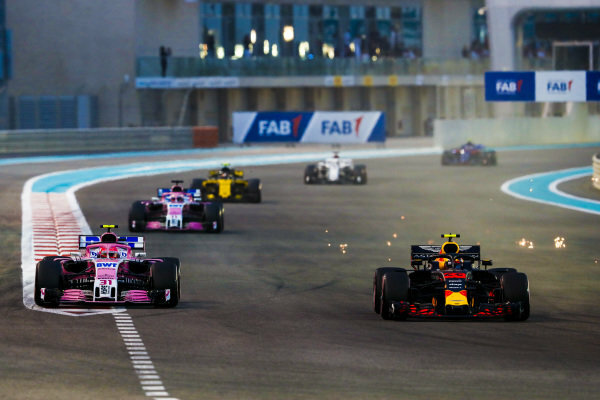 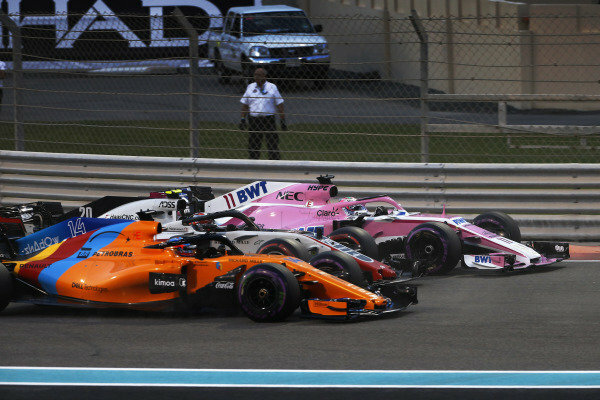 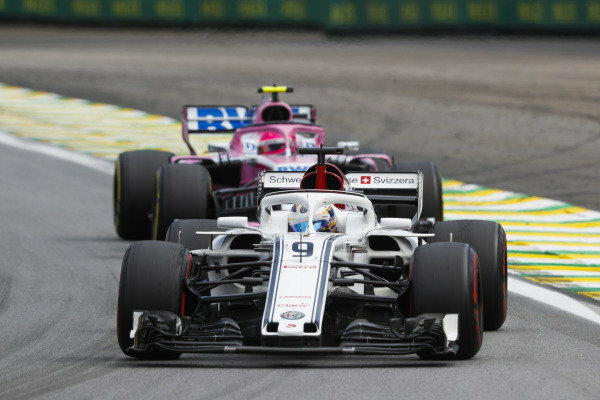 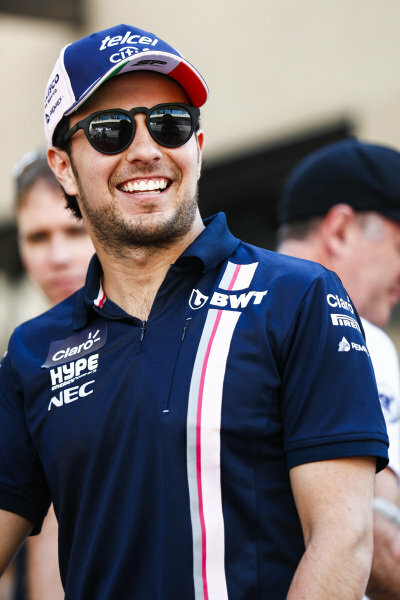 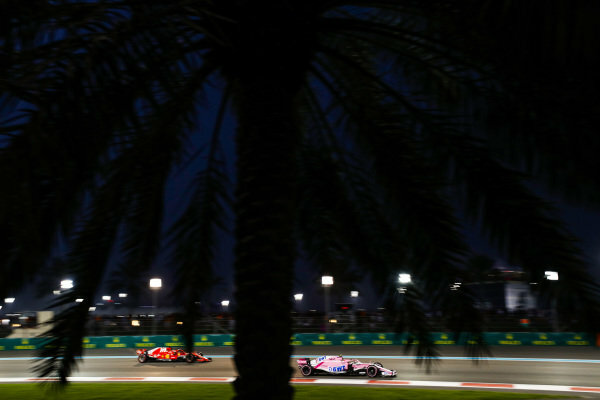 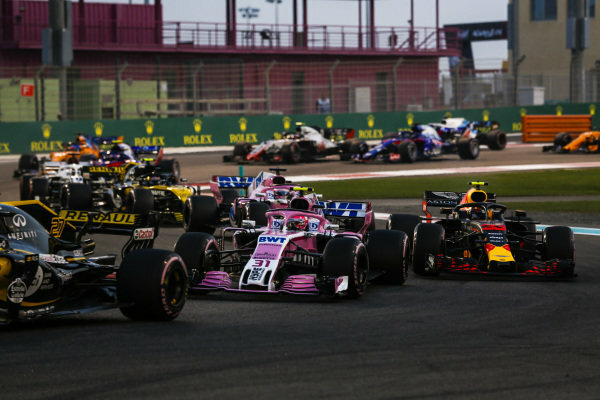 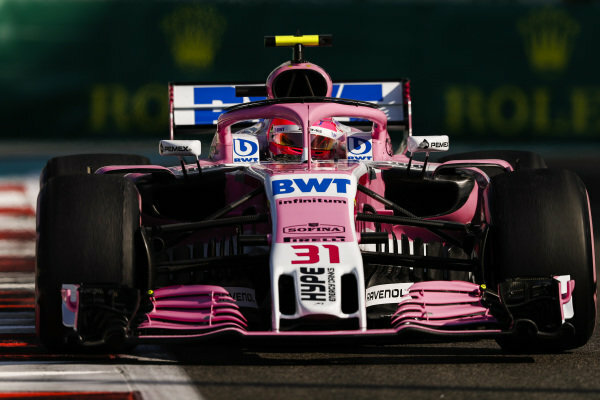 Esteban Ocon, Force India VJM11 Mercedes, collides with race leader Max Verstappen, Red Bull Racing RB14 Tag Heuer. 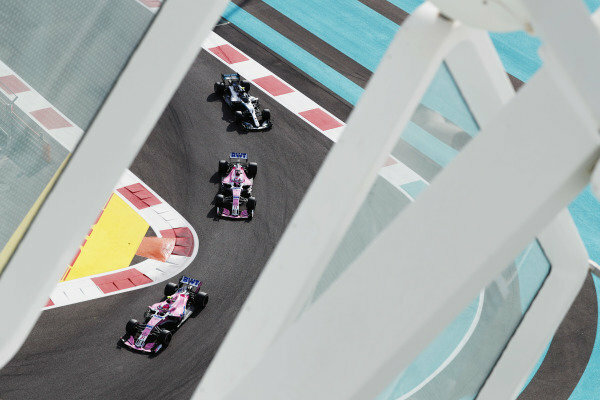 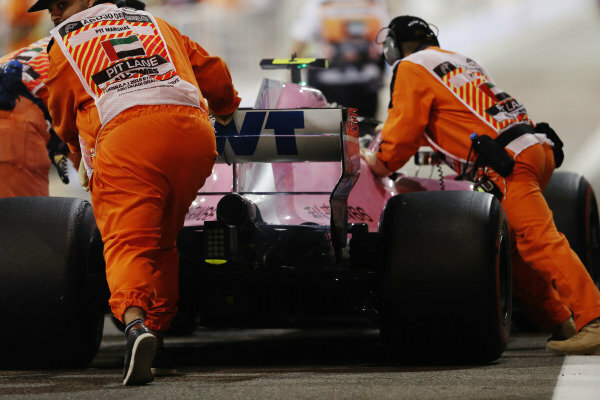 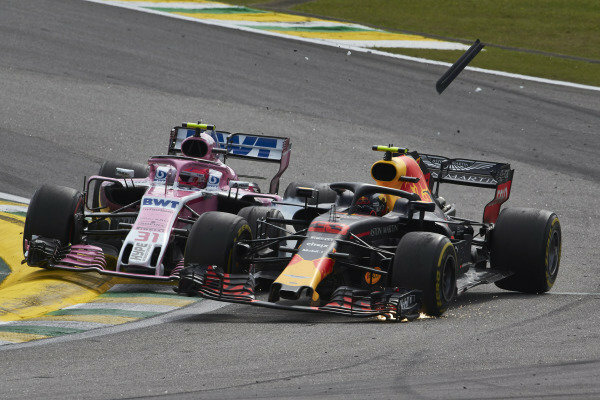 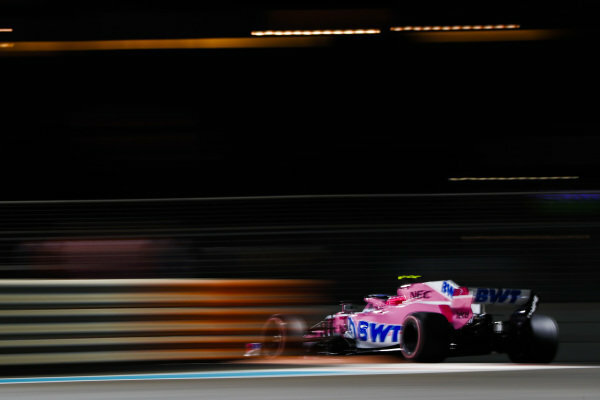 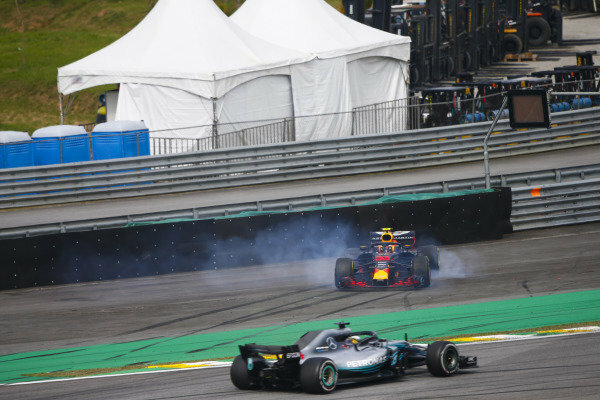 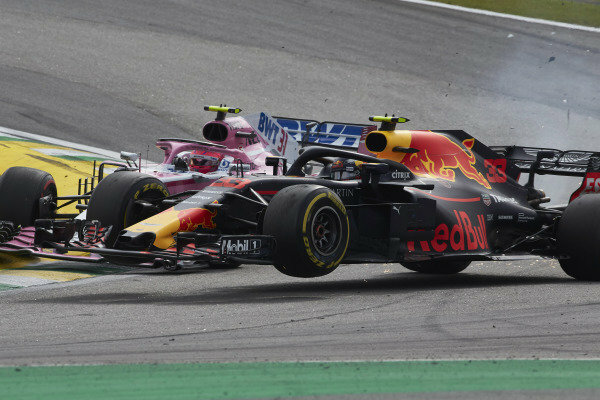 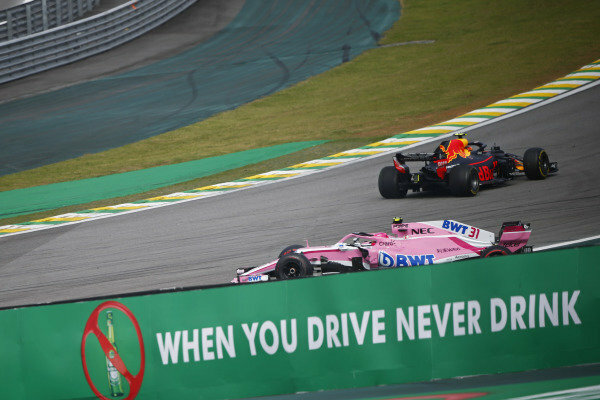 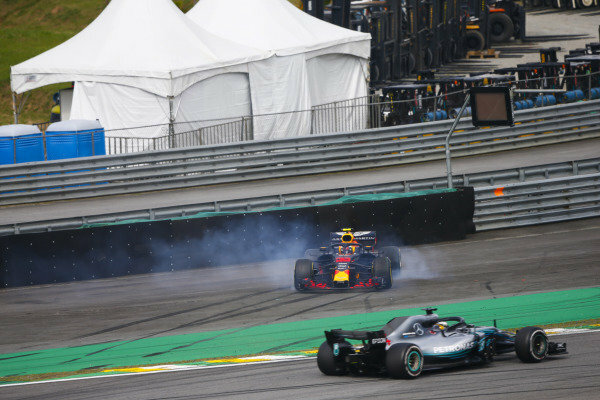 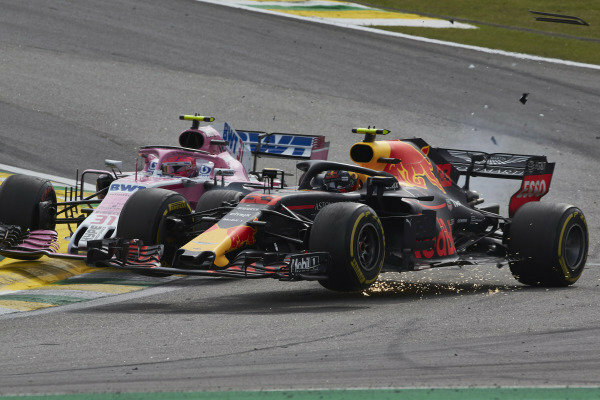 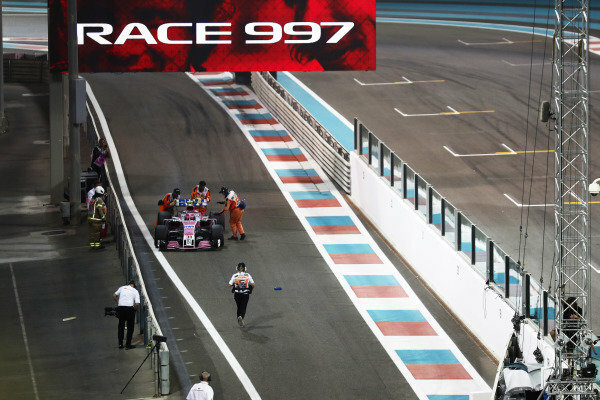 Esteban Ocon, Force India VJM11 Mercedes, spins off after colliding with race leader Max Verstappen, Red Bull Racing RB14 Tag Heuer.